It's raining. The gym is crowded. Might as well stay home and watch videos...workout videos. 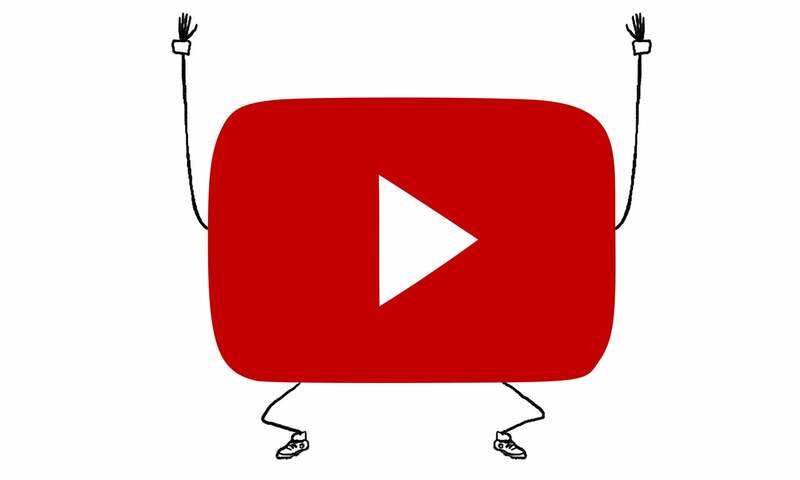 Here are some of our favourite ways to get fit with YouTube. Illustration by Jim Cooke. The ones that made our list are channels chock-full of solid workouts — either full sessions or substantial chunks that you can build like blocks into a longer workout. All (except the weight lifting) are meant to follow along as you watch. (While some channels are full of quick tips, instructional videos, monologues, recipes, or teasers for longer workouts, we've skipped those here.) So you can pick a video off this list and enjoy a workout immediately, no planning required. Channel: FitnessBlender Specialty: Strength workouts done with bodyweight or weird looking adjustable dumbbells. You'll Also Find: a puppy workout. Channel: Jessica Smith TV Specialty: Cardio/strength workouts (with and without weights), and a few that feature power walking in place. Oh, and some of them adorably feature her mum as a backup dancer. You'll Also Find: mythbusting question-and-answer sessions. Channel: SofaBar ("Fit Like a Figure Skater") Specialty: An unusual spin on ballet workouts, since Sofie is not a ballerina but a figure skater. You'll Also Find: Tips on ice skating better. Channel: Muscle & Strength Specialty: Explanations of gym workouts (watch, then go) that fit into weekly routines, like their OT4 system and Fast 21 workouts. You'll Also Find: Recipes and interviews. Channel: Scott Herman Fitness Specialty: Weight workouts (again, watch and go rather than follow along) including a series of mix-and-match workhorse workouts for each body part. You'll Also Find: Tips and vlogs. Channel: Bodybuilding.com Specialty: Workout videos preceded by little cinematic monologues from the personality running the workout. You'll Also Find: Recipes, tips and days in the life of the workout personalities, like when Calum von Moger visits a petting zoo before getting to the day's workout. Channel: BodyRock Specialty: High intensity intervals, including a 30-day challenge with a video for each day, most over 45 minutes long. You'll Also Find: Teasers for their paid exercise programs; 30-second exercise demos. Channel: BeFiT Specialty: Everything from dance routines to extreme workouts to beginner's yoga. Be sure to check out the BeFiT Go series of circuits meant to be watched on your phone and done anywhere. You'll Also Find: A few shorter mini-workouts and the occasional "health hack", but that's about it. BeFiT is a huge channel, with more full videos, and more different kinds of workouts, than any of the others we found. Channel: Jenny Ford Specialty: Old school step aerobics. You'll Also Find: Instructions on how, exactly, to step on a step (and a few other useful moves). Channel: Global Cycling Network Specialty: Virtual spinning classes you can do on your own (using a bike at your gym, or a trainer at home if you've got one). Most just show other cyclists' sweaty faces, but a few play scenery so you can imagine yourself biking up picturesque hills. You'll Also Find: How-to videos on everything cycling. Channel: Yoga Journal Specialty: Yoga routines and sequences for almost every imaginable purpose: energising or relaxing, seated or standing, or focusing on various body parts. You'll Also Find: Specifics on mastering tons of poses. Channel: Blogilates Specialty: Pilates-inspired workouts done on a mat. You'll Also Find: Recipes for eating clean on a budget. Channel: Cody Specialty: Lots of yoga, and cardio intervals. Jessamyn does Body Positive Yoga, and Kino MacGregor does crazy advanced yoga workouts. You'll Also Find: Crossfit technique tips. Channel: Tonic Specialty: The Useful Yoga series. Don't believe for a minute that a workout video can "detox" you or help with digestion, but otherwise the videos may be just the right way to spend time on yourself when you're suffering from heartbreak or anxiety, or just want a new morning routine. You'll Also Find: Lots of recipes, and guides to New York sightseeing. Most gyms are indoors so you can still go even when it's raining.